New compact iPad Pro Gear Case keeps essential accessories organized in a Made-in-USA, waxed canvas and leather carry pouch. 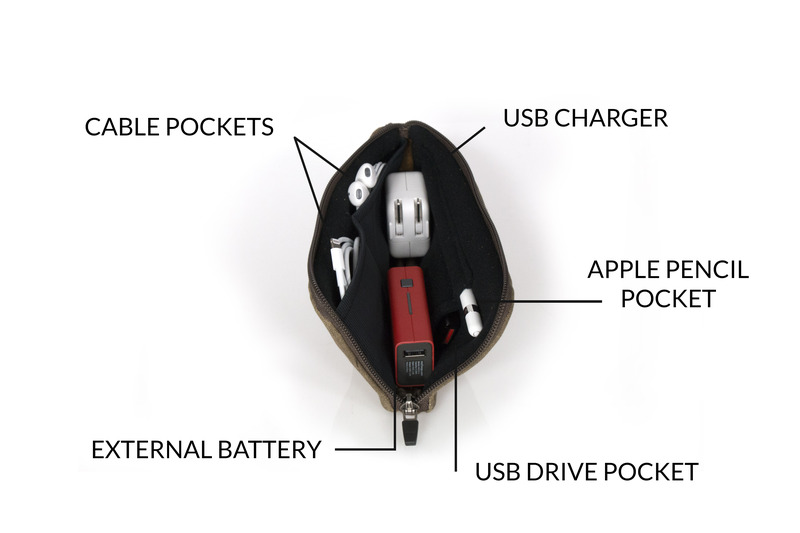 Custom pockets hold the Apple Pencil and extra tip, Lightning to USB cable, USB Power Adapter and more. The compact iPad Pro Gear Case equips you with a consistent, protective place to store iPad accessories, and it fits easily into any day bag. Waterfield Designs announces the ultra-compact iPad Pro Gear Case to store accessories for Apple’s new 10.5-inch or 12.9-inch iPad Pro. 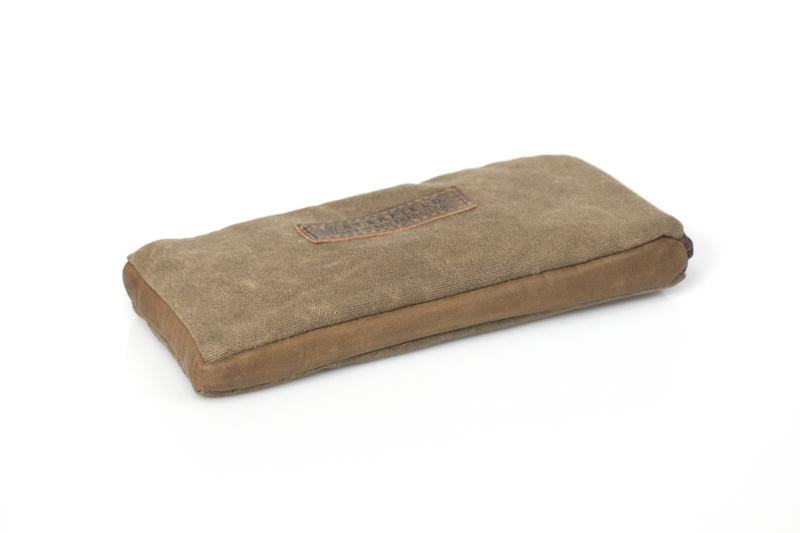 The iPad Pro Gear Case is a rugged waxed canvas and leather pouch with customized pockets to organize and protect out-of-the box and extra iPad necessities so users can access the iPad Pro’s full potential from any location. 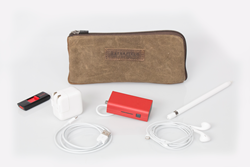 Custom-designed for iPad Pro accessories, the iPad Gear Case main compartment includes two mesh pockets for the Lightning-to-USB cable, Lightning adapters and ear buds, and two padded, scratch-free pockets for a USB flash drive and the Apple Pencil plus extra tip. 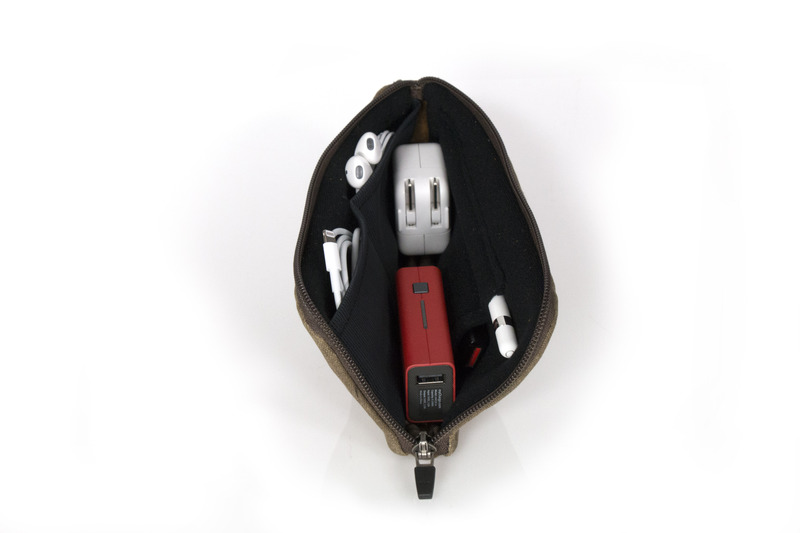 The slim main compartment is just wide enough for the USB Power Adapter, a portable charger and a few other necessities. 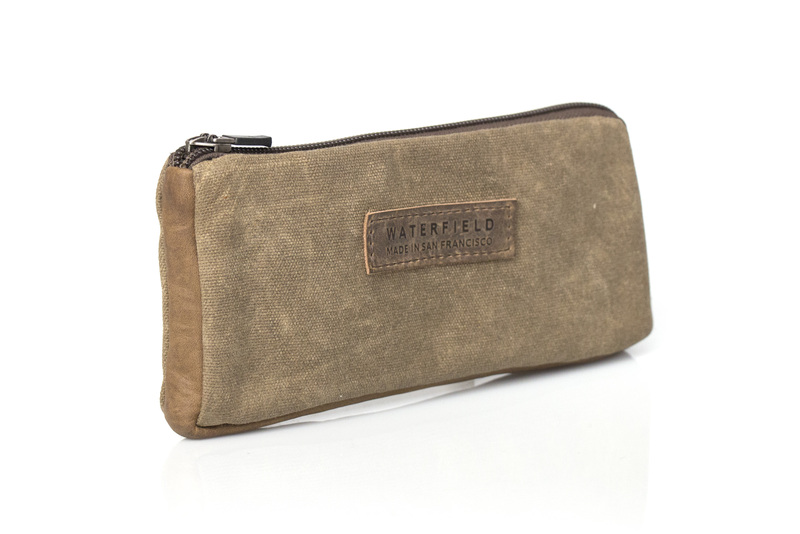 A self-locking zipper secures the waxed canvas and leather accessory pouch. 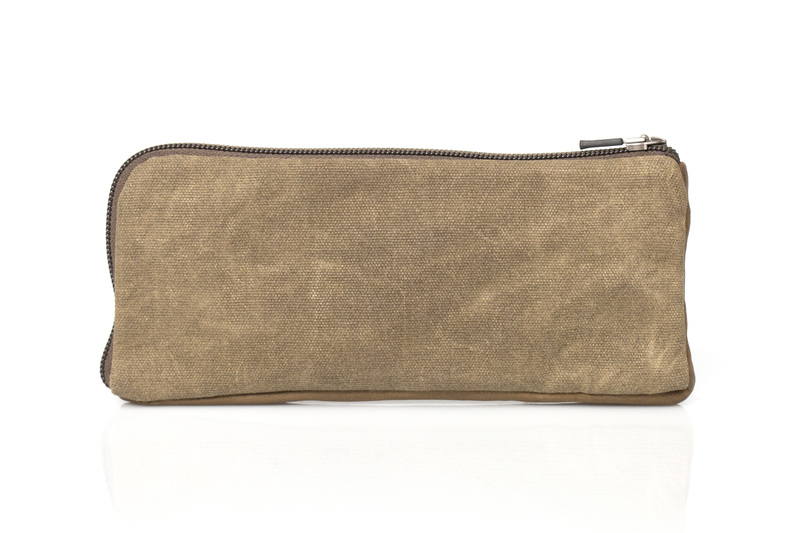 With precision stitching and rugged materials, the handsome iPad Gear Pouch is built to last. The iPad Gear Case and the iPad Pro easily fits inside an array of WaterField Designs bags including the Maverick, Cozmo, Bolt Brief, Staad Backpack, Field Muzetto, Vitesse Messenger, and more. 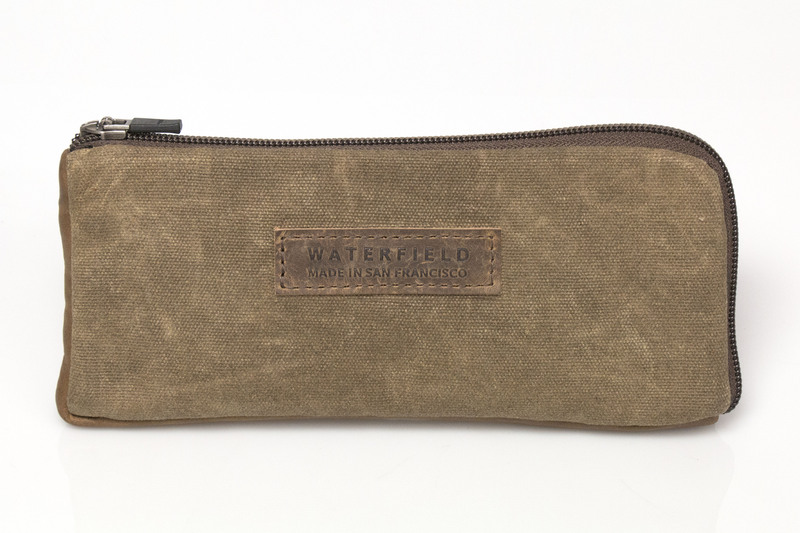 WaterField has been designing and manufacturing laptop sleeves, bags, and cases for digital gear in its San Francisco studio since 1998. Color & materials: Brown waxed canvas and grizzly leather. Dimensions: 8x 3.5 x .75 inches. Weight: 2 oz. Pre-order now. Shipping begins June 16, 2016. Other WaterField iPad Pro cases available now: SleeveCase—$69; Dash 2.0 Sleeve—$89; Maxwell Sleeve—$99-109, Outback Solo 2.0— $159.